@EA_Mage I recently came across an old thread someone had resurrected to comment on and got some very useful information from it myself. No sooner than I commented you necro'd it. Not a good way to treat newcomers to the Forum. I felt embarrassed for even commenting on it and I've been a Simmer since "The Sims". Why close useful information which might have had important additions since, via the addition of new Packs and Patches? Maybe a "send to Archive" or a new "How to play, useful threads" button and change of heading so that people can easily find it. 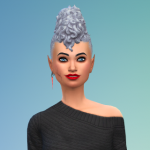 Maybe upgrade some "seasoned" Simmers to help you out choosing which info. to add and only give them the button? This would be distinct and separate from complaints and I've got a bug type stuff. There is no guidebook for this game and Seasons, particularly has impacted old Expansion and Pack content. I agree. Some threads shouldn't be killed off only because they are old. As you said, sometimes new important information could be added, like if a certain method to do something now could break the game after an update. 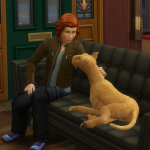 And other threads could be timeless, like "share your pics of your cutest sim pets". There's no need to start a new one then. It's not as though we can't see the threads after they've been closed. Necroposting isn't conducive to a good forum environment, and a lot of times the information you see in older threads has become obsolete or is no longer accurate. Thus endorsing them as "helpful" threads and maintaining that they are actually still helpful would honestly be a lot of work. I don't like necroposting but keeping useful information is another matter and should be allowed to be updated with new interactions if they come up. There is no manual after all, for newbies. We are missing out on those guidebooks that used to come out with every older game and pack from 1 to 3. (and I did say only useful info. not arguments etc., etc...)! I feel like this whole necro business started as a way to keep people from commenting on threads that were bashing EA. People were commenting on threads where the subject matter was a complaint. Because of this it seemed the policy changed and now they have a right to close these old threads for no other reason than they’re old. I’ve also observed a thread being closed when it was NOT even 2 years old which is apparently the policy. So exceptions are being made to close certain threads they want closed even if the last response was last July for example. I'm not bashing EA. I like Sims 4. EA make a game which is improving all the time but we are losing out about knowing about all the marvellous eccentricities, interactions and events that their programmers have put in the game and have to trawl through threads of 100 pages or so of the "what did you see in your game today"? type. Going to other websites results in neverending adverts in my experience. 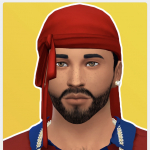 I believe that one of the reasons that brought on the closing of necroed threads was too many older TS3 threads being revived by TS4 players (new members) looking for solutions to their TS4 games and/or posting TS4 solutions in older TS3 threads. We also have some new members who would rather seek out older threads to make their comments in and in doing so, they were posting nonsense off the wall comments that had nothing to do with the topic of the thread. Plus some older threads may have outdated info in them and therefore doesn't do anyone any good. Rosemow created 2 threads for new members to post in if they have issues with either TS3 or TS4. I don't think new members are posting on old threads on purpose but probably because that is all they can find on their query. Well done for rosemow but I am not writing about issues but useful information. Maybe not a whole thread but a useful post? That's all folks. I just thought it would be useful for all of us, not only newbies. I don't think new members are posting on old threads on purpose but probably because that is all they can find on their query. Well done for rosemow but I am not writing about issues but useful information. Some of them of are doing them on purpose because some of them claim to be socially awkward and they don't like talking with other people. And some of them do know that the threads are old as I've seen some of them commenting that they know that the thread is old. I've been frustrated with the necroposting thing also. I see so many threads being shut down just because of their age. Many of those topics are still relevant. Of course, it would be silly to necropost on something titled 'what do you think The Sims 4 release will be like?' 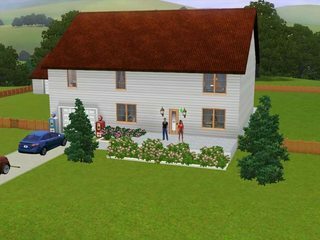 but it is better to necropost on something titled 'show us your sims houses' or 'what is your favorite interaction in the game?'. Besides, It is kind of silly to keep creating new threads on the same topic. Also, sometimes certain threads have questions that are yet to be answered. Maybe they are socially awkward? I would never assume otherwise unless future events proved otherwise. First time ok and then they get more confidence. This is not a social club where members can "blackball" new entrants. It is an Official Forum. PS: Judging from what I have seen on the "have I got a bug type issues" we do need a archived thread on how to start up a restaurant properly! I have found that when clicking recent discussions it brings up threads from 2 or 3 years ago and the date is really tiny so its very easy to necro a thread on accident. I think its not really necro if its the same topic the new post is. Its when people put Sims 4 stuff on an old Sims 3 thread and vice versa. This is the sort of thread that never gets necro'd…. 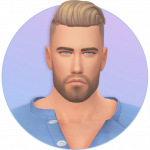 "why does sims 4 get boring after a while" and I am getting "plumb" bored with threads like this being put on "Best of". Dated 2016! Necroing rules are always subjective depending on personal opinions as there are different ways to handle them. I do agree some threads, regardless of how old they are, shouldn't be closed as they still make sense to be around. But this a very small minority of the threads that do get necrod. We will do our best to make sure we take an aligned approach as a team when it comes to necrod threads, but still some personal differences may happen. If you disagree with a decision to close the thread our inboxes are open. Send me or any of the EA CMs/Moderators a direct message and we will review what happened. "Best of" is not something we go through manually and chose what goes on there, "Best of" is section that automatically gathers posts based on the number of reactions they receive. If you see something in "Best of" it means members of the community liked that post quite a lot. Ah! I did wonder about this. Thanks for letting me know. But those Rose threads have never been stickied so new members do have a hard time finding where to post their new questions or bugs or whatever. If they were at the top (stickied) for new members to post questions it would be much easier on them, I think. I saw an eight month old thread closed this past week because it was considered old. I'm sorry, but I think TS4 Emotional System is still relevant and needs an overhaul. Granted it didn't have many comments but feedback is like the wind there are a lot of repeated subjects in there, and this one got nerfed for 'age'. So, I would like clear rules on is it a year? two years? or eight months? An if the forum is moving fast just because something falls to the back pages doesn't mean it's no longer relevant. It has a lot to do with new DLC taking over discussion but that still doesn't change TS4's Emotional system needs an overhaul and many agree with that and still relevant today. Well the only way for those 2 threads to get stickied is if Rosemow ask EA_Mage or EA_Lanna to sticky to them for all to see because the management team won't sticky them on their own. But the problem lies with new members using Google to search things up about TS3/TS4 depending on which game that they're playing. 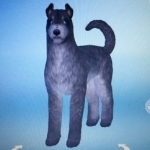 Take for instance if a TS4 player is searching about TS4 ghosts, well I did a Google search on TS4 ghost and got links to TS3 and TS4 ghosts. Like in this picture that I took after doing my search. 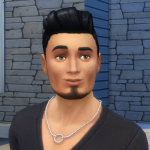 As you can see it shows the first two links for TS4 while the third link is a TS3 link about ghost. So once the new member finds the thread that they need, they will click on that thread which brings them to this site where they need to sign up to be able to post their issue/s in the thread that they found. And upon doing so, they're not looking at the date of the thread or to see if the thread is about TS3/TS4. Plus I've also seen new members posting on their walls their issues as some of them claim that they don't know where to post their issues in as they can't figure out this site. And even when some new members find one of the 2 threads that Rosemow has created, some of them won't post in them thinking that they are too old when they see the original date on it. Also the search feature for this site is been very glitchy at the moment for the past 1-3 weeks. @Cinebar I have actually been sticking rosemow's New Member threads where ever I see them - if I missed some, please ping me the link and I'll fix that. As for closing threads that shouldn't be closed, please send me links so I can review It could be just how we communicated the reason of the close, but I cannot review it with out an example. Just ping them to me via direct message and I will take a look. As for clear rules for necros - there are no clear rules, just a few best practices. I'd recommend checking out EA_Lanna's thread on this: What is considered a necropost?